LE KAUN RAHA HAI BE? 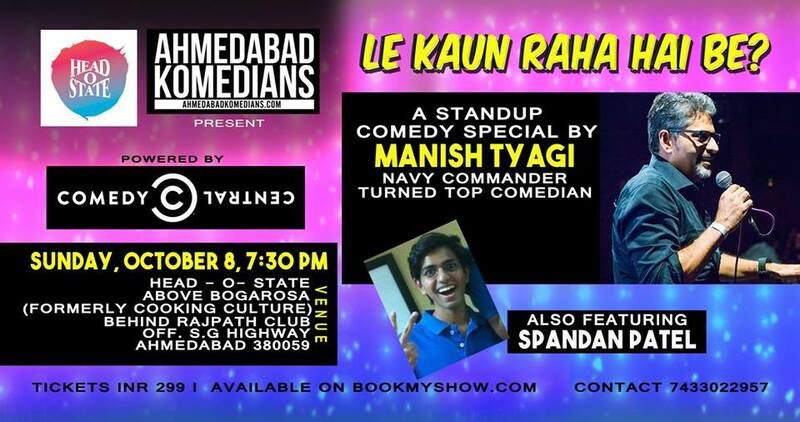 Manish used to be a Commander in the Indian Navy before he decided to become a standup comic sometime in 2014. An officer and a gentleman, he has some very funny tales to tell from his life experience. His style is full of unprecedented stories blended with wit and humour. His Facebook page has close to 36,000 followers and YouTube has over 9,500 followers, with multiple videos having 5 lac plus organic viewership. His jokes have also been aired on 91.1 FM & 94.3 FM in the past.